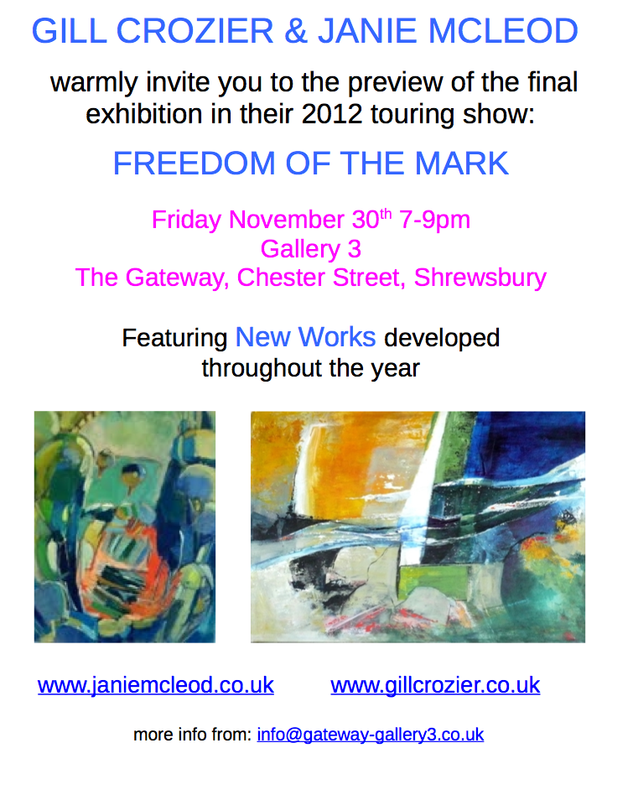 Gill Crozier (BVA, Inside Out) has sent around a flyer for her most recent joint exhibition with Janie McLeod at Gallery 3, The Gateway in Chester St., Shrewsbury. You’re warmly invited to the opening night on Friday, Nov. 30th between 7 and 9pm, and the exhibition is open until January 12th. The exhibition is the last in a touring show featuring new works developed throughout 2012 by both artists. For more information, visit gateway-gallery3.co.uk.